I want to share 3 Great Exercises to Loosen Up Your Mid-Back at Work. They are really easy, and all they require is a chair. A common complaint from clients is that their mid back is tight and sore. These are three great exercises that you can do at work to help ease your mid-back. Face the chair, lift your left leg up on the chair, and then rotate your body towards the wall. Place your hands on the wall and hold that position so you can feel a light stretch in that mid back and upper back area. Shuffle your hands to intensify the stretch, depending on how much you are looking for. Hold this for 10 seconds. Again, face the chair, bring your left leg up, move your hands out front and then rotate in the opposite direction. Hold this for 10 seconds, return to the start and relax. Put your hands on the back of the chair, slightly bend your knees, bend through the hips and try to drop those shoulders. Slightly arch in your mid back area. Hold for 10 seconds. If it’s your first time going through these exercises, make sure you are doing the exercise correctly and hold them for about 5 seconds, then progress on to a 10 second hold. Go through 2 to 3 repetitions to loosen up your back. Give those exercises a go. 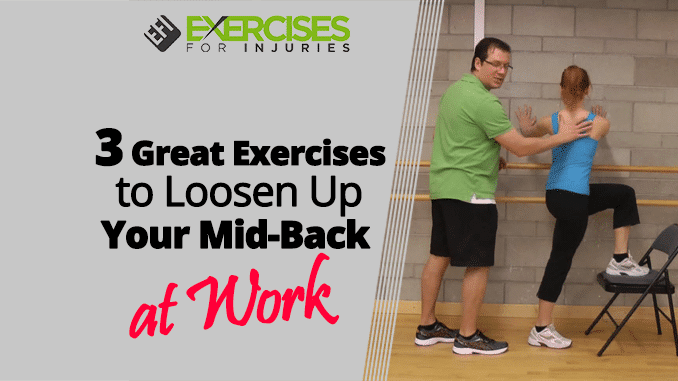 They are three great exercises to loosen up your mid back at work. 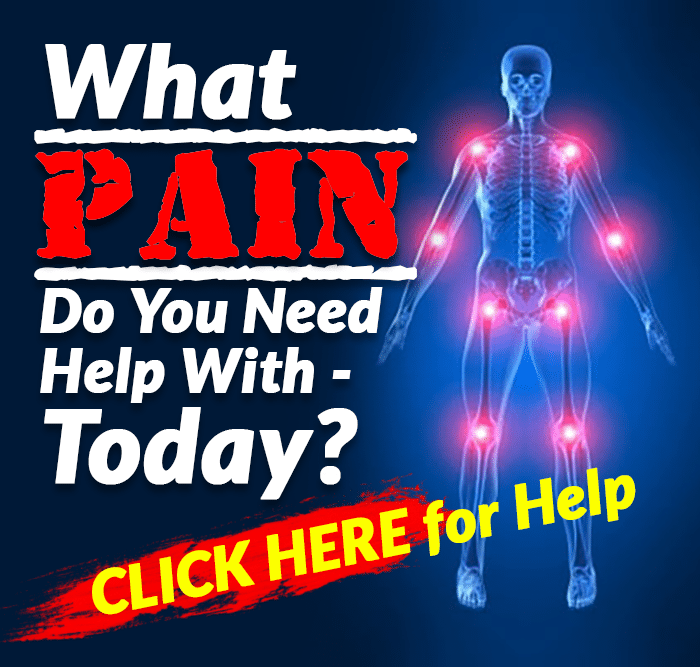 If you are looking for a program to help you overcome back pain, then click here to check out Fix My Back Pain.